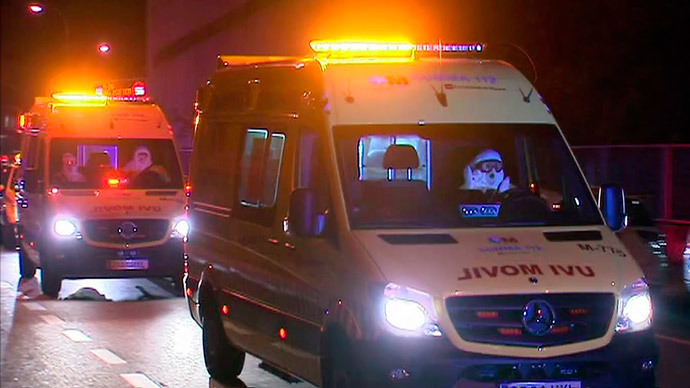 Health officials in Madrid say three more people are in the hospital on suspicion of contracting Ebola. 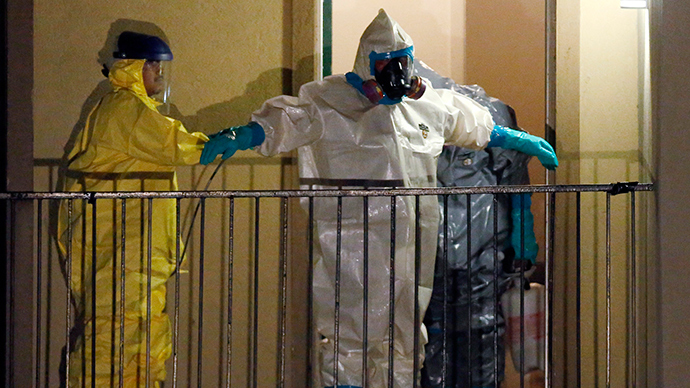 The news comes a day after a nurse who treated two Ebola patients at a city hospital became infected with the disease. One has tested negative. The nurse is now being treated with a drip using antibodies from those previously infected with the virus, Reuters reports. Approximately 22 people who have been in contact with the woman, dubbed by media the "Spanish Ebola nurse," have been identified and are being monitored, Madrid health officials told reporters Tuesday. The officials added that the hospitalized include the nurse's husband, another health worker and a traveler who had spent time in one of the affected West African countries. One of the hospitalized - the female health worker- was reported to have tested negative for Ebola late on Tuesday, according to a Reuters health source in Spain. She had displayed only one potential symptom - diarrhea - but was not running a fever. Spain's Public Health director, Mercedes Vinuesa, told parliament that authorities were compiling a list of everyone who had come in contact with the nurse so that they could be monitored, AP reports. Vinuesa said Spain had several treatments available and was employing them Monday. The unidentified nurse is reportedly in stable condition. 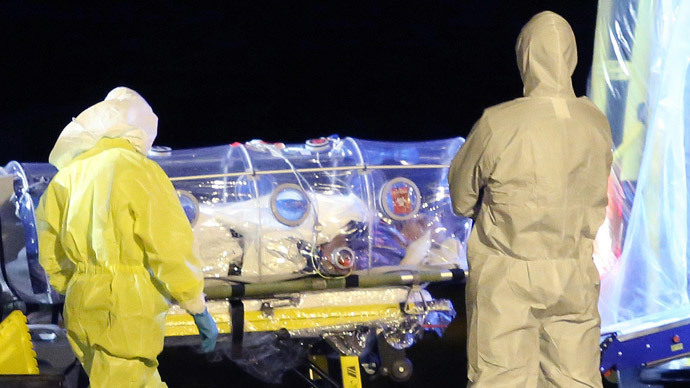 The 44-year-old woman is the first known person to have become infected with Ebola outside of Africa during the current outbreak. Other cases in Spain – and recently, the US – involved individuals contracting the disease while in Africa and then traveling back to their home countries.The nurse had reportedly helped treat a Spanish missionary and a Spanish priest, both of whom came down with the virus while in West Africa and later died after returning to Spain. There is currently no proven known cure or human-safe vaccine for Ebola, which is spread via bodily fluids. Initial symptoms of fever and sore throat develop into vomiting, diarrhea and profuse internal and external bleeding. Victims may die of multiple organ failure within days of first contact, with some strains killing up to 90 percent of sufferers. 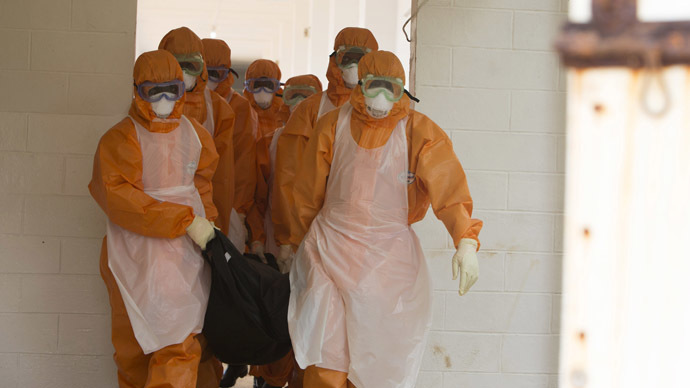 The latest outbreak first struck the West African state of Guiana in December 2013. World Health Organization (WHO) officials, however, did not become aware the disease was raging in the country's south until March 23, 2014. It has since spread to neighboring Senegal, Liberia and Sierra Leone and Nigeria. Due to a rapid response by authorities in Nigeria and Senegal, infections in both states combined were kept below two dozen. Apart from Spain, the United States is the only other non-African country to register a case of Ebola. 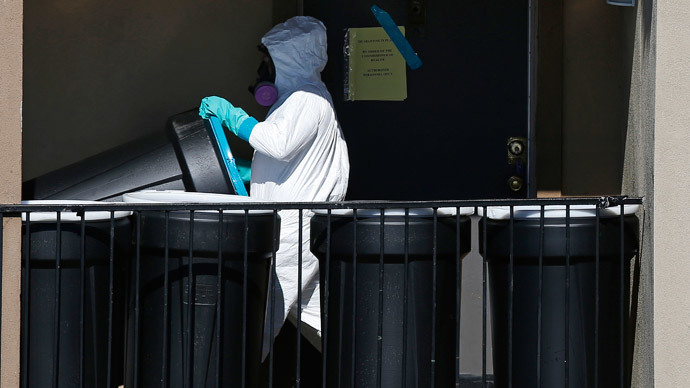 On September 20, an infected man traveling from Liberia arrived in Dallas, Texas. He reportedly started exhibiting symptoms of the disease 4 days later. US health officials are currently monitoring 10 quarantined people who had contact with the man, who remains in critical condition. The WHO has reported a total of 7,493 Ebola infections worldwide. At least 3,439 people are estimated to have died after contracting the disease. In September, the US Centers for Disease Control and Prevention predicted that 1.4 million people could contract Ebola by the end of January barring drastic attempts to head off the spread of infection. Spanish authorities have come under increasing pressure to explain how the disease was able to spread in one of their hospitals. While they say all proper procedures were followed while providing care to the deceased missionaries, reports to the contrary have surfaced. According to The Guardian, staff at the hospital said waste from the rooms of both patients had been carried out in the same elevator used by all personnel. The hospital was also reportedly not evacuated when the second patient, García Viejo, was taken in to receive treatment. Union workers also accused the government of providing hospital staff with inadequate protective clothing. Some Spanish health workers' representatives said the situation should prompt an overhaul of procedures and facilities used to treat those afflicted with the virus.